Court 15 – the Back to Backs – has been one of our biggest projects! It mattered to tens of thousands of people living in Birmingham. 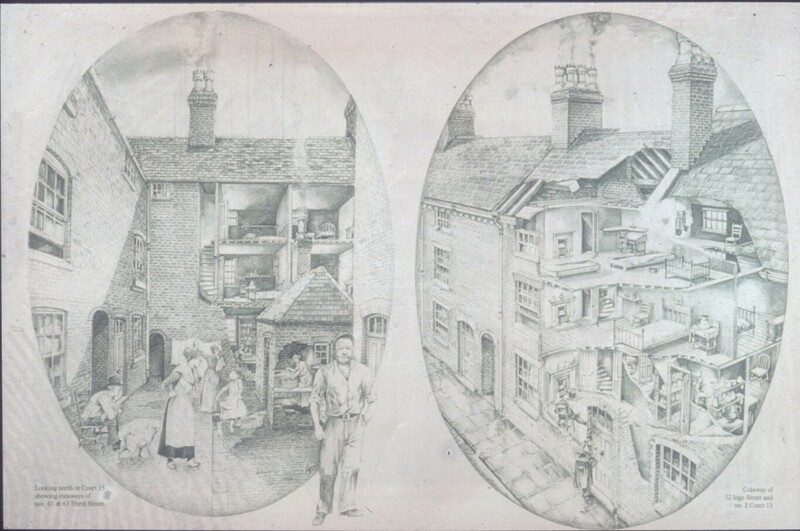 Not only did we save a unique set of buildings, the last Back in Backs in the city, but we have preserved the history of the thousands of people who loved or loathed living in homes like these. 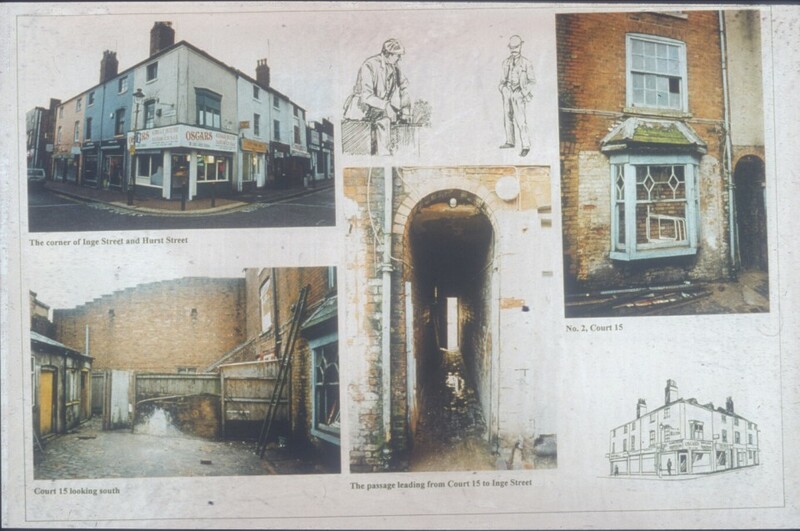 It used to be easy to walk past this collection of shabby buildings in the city centre and miss their historical significance, but the bricks and mortar of Court 15 hold a store of powerful memories. Restoring and revitalising these buildings was a project of national importance. Birmingham Conservation Trust was responsible for all the capital funding for the project and the implementation of the building repairs. 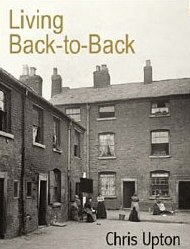 We commissioned the wonderful Dr Chris Upton to carry out extensive research on the buildings and the people who lived there – leading to him publishing Living Back to Back – an eloquent, human history of these homes. Once work was completed, the National Trust took on the buildings. There is a lovely blog post from 2012 by Jackie about the ‘wallpaper project’ funded by the Heritage Lottery Fund. Click HERE to read about it! 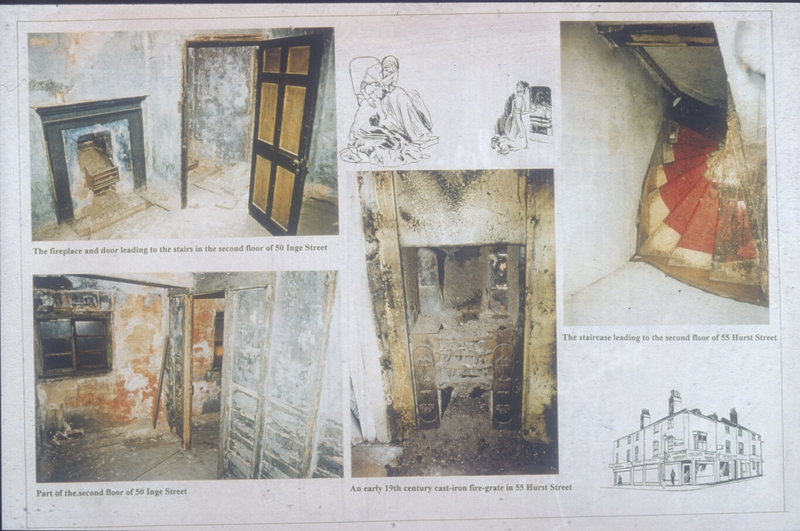 These scans of the publication produced by Birmingham City Council’s Conservation Group show the state of disrepair when BCT got involved. 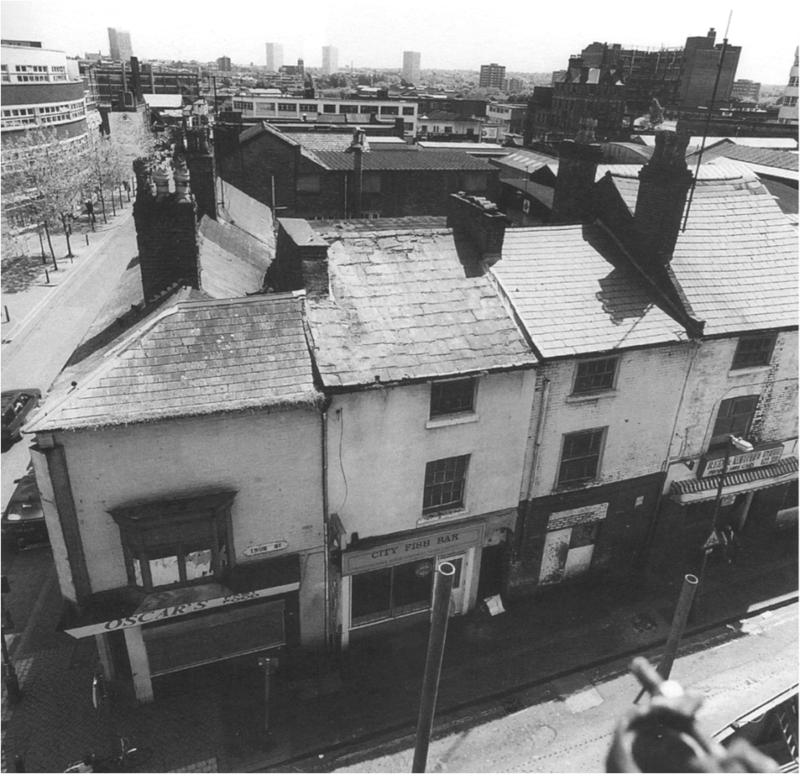 The Back to Backs project started out as the vision of Birmingham Conservation Trust, but we could not have achieved our ambitious aims for the project without the help of others. We worked in partnership with the National Trust to fully realise their potential. 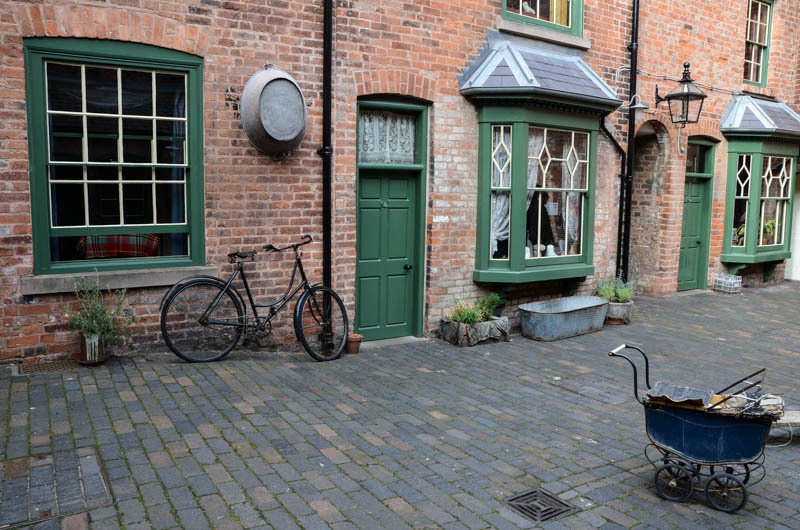 Today they are a hugely popular visitor attraction where visitors get the chance to explore how life had changed over 130 years, as the houses are displayed at four different dates – early C19, late C19, early C20 and late C20. Click HERE for information about visiting. During the project we delved into census records to learn about the families who lived in Court 15. House No. 1 the early C19 house, was occupied by the Levy family who lived there in the 1850’s and were watch-makers, whose ancestors came from eastern Europe. House No 2: the late C19 house, was home to the Oldfield family and their tenant, William Corbishley, bone turner. Both Herbert Oldfield and his son, Alfred, were glass workers, producing glass eyes for dolls, stuffed animals and humans. The 1930’s was a period of high unemployment and recession. In House No. 3, Henry Mitchell and his wife and four children would have been struggling to survive. A low point in the Mitchell family fortunes, who had an association with Court 15 for over 100 years. House No 4: George Saunders was the occupier of No. 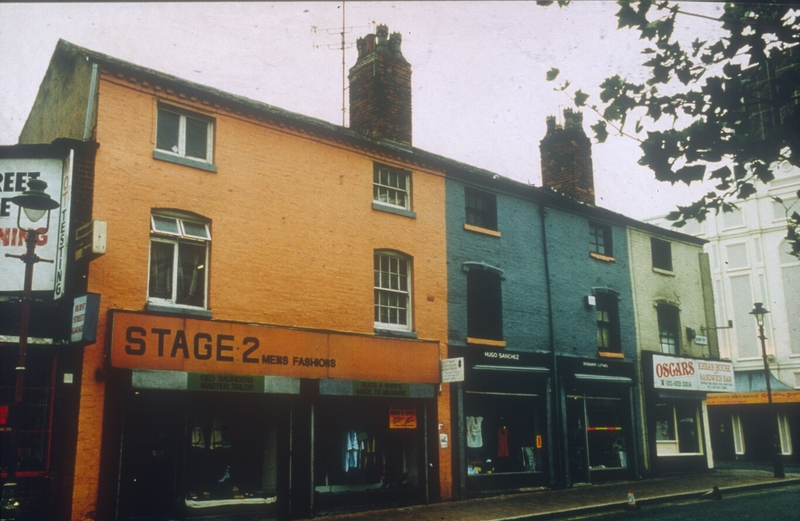 57 Hurst Street in the late 1970s. George was born in St Kitts in the West Indies and emigrated to Birmingham in 1958. He opened his bespoke-tailors shop in the Court in 1977 and continued trading until 2001. The stories of these people and the many others who occupied the court are interpreted by guides, who take small groups of visitors round the houses during a visit to the Back to Backs. 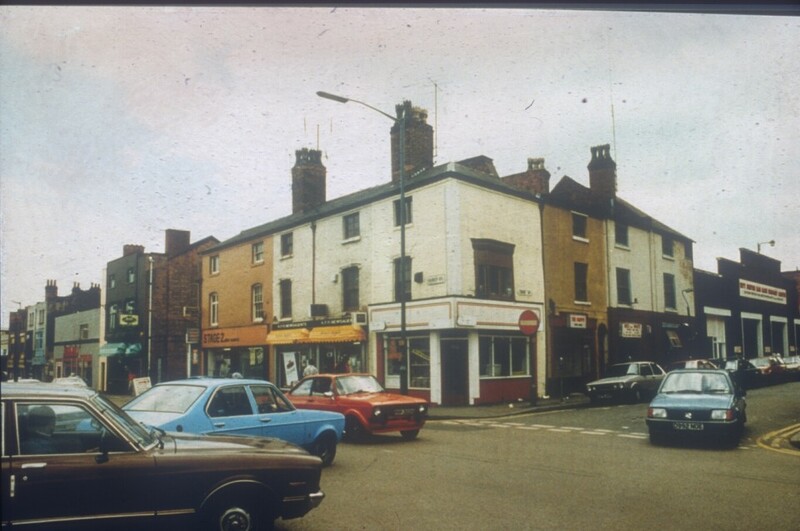 We love these images taken from slides – kindly given to us by Brumpic. These artist illustrations, commissioned by BCC Conservation Group, show the internal workings of back to back housing. We received more than 200 letters from all over the country during the restoration project. Some of these are displayed at the Back to Backs where visitors can read them at their leisure. If the baby was to be delivered at home the midwife would require a table or old marble topped washstand. On this a large jug and bowl for washing mother and bathing the baby would be required, & somewhere to put her equipment. The clothes horse, which when draped with old cloths etc would help keep draughts off the newly delivered baby. A very important item required was some form of cot for the baby, as midwives were not allowed to leave the child to sleep in the parents bed in case of suffocation. This would often take the form of a drawer on two chairs, surrounded by the clothes horse. On one occasion a motor-bike sidecar served the purpose very well. It was not unusual to see many of these items passed from family to family at the time of confinement, and neighbourliness ensured that there was always a pair of clean sheets to put on the mother’s bed when the confinement was over, plus an uncracked cup to give the midwife a cup of tea, after the mother received hers. Childbirth, in these circumstances, and at this time seemed a relatively straightforward event with no special fuss. It had to be – it occurred so often! …we had a very good landlord, who was a real gentleman. Every week at exactly the same time, he would arrive in a limousine – the only one we had ever seen – complete with chauffeur! Every child would line up, all the mothers having made sure we all had a clean face, and he would pat us all on our head! …… he looked after his tenants very well. We dreaded wash-day and all that went with it, especially if it was a wet day, and everything had to be dried indoors, a very miserable prospect indeed! Another chore that never changed was children being bathed in front of the living room fire in a tin bath. What a performance! It was really hard work when there was only ever a cold tap, and every drop of water, for whatever reason had to be heated in the kettle. We hope that you will visit the Back to Backs if you have not already had the opportunity to do so. Birmingham Conservation Trust is extremely proud to have led their rescue and restoration for future generations, before handing them over to the National Trust to ensure they are looked after for the nation.